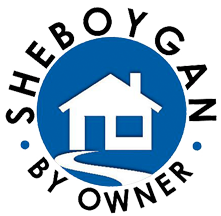 Welcome to sheboyganbyowner.com and manitowocbyowner.com. Our mission is to promote your real estate property and be a resource for Sellers and Buyers. Our service provides an effective, low cost way to advertise and it will positively improve your ability to compete in the market. Your property will receive local and worldwide exposure 24 hours a day. All listings feature a full web page, and includes complete property specifications, protected email notifications, a minimum of 10 color pictures and the use of a distinctive professional yard sign that we deliver and pick up. Selling on your own can be a very rewarding experience. Every time someone makes a sale by owner, they have the satisfaction of knowing they saved thousands, and did the job themselves! We are committed to helping you succeed, and look forward to serving you for all your real estate advertising needs.